Another early start had us on a train to Kingussie where we gave another Live Music Now concert in a care home, which was a lot of fun – Jessie’s vocal rendition of Summertime had everyone in tears… some day she’ll manage to sing it in tune! 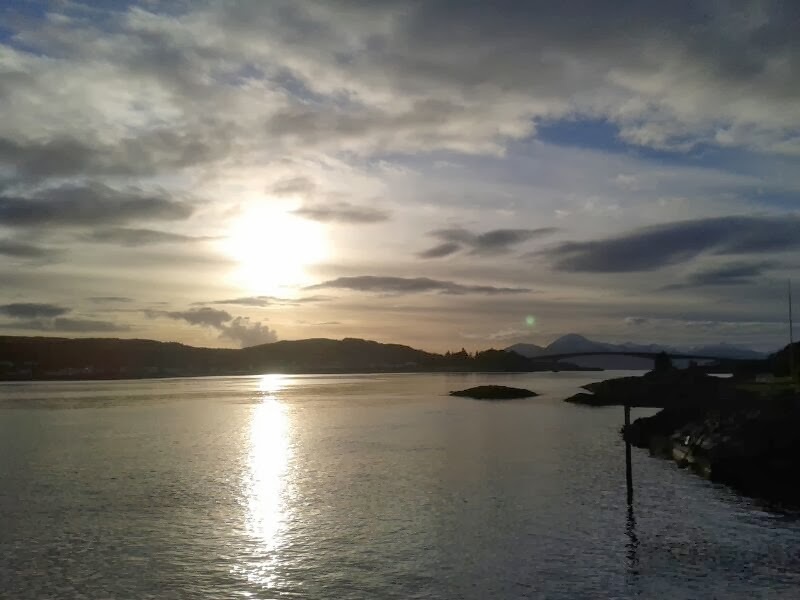 otherwise made it to places like the Isle of Skye and Newtonmore – a reaction of disgust to a piece of music is as artistically important as rapturous adoration! After the concert we were treated to a little party, and had a great laugh with our hosts into the wee hours. Tired and bleary eyed, but happily full of a proper Scottish fry up (complete with haggis) we are finally making our way back down to London, where the scenery is certainly not as impressive, but the phone signal and wifi will at least make up for some of it’s greyness! Thanks to all of our amazing hosts this week, and to the Tunnell Trust for a brilliant itinerary that saw us take in some of the most spectacular scenery the country has to offer, and play some great music to some very appreciative Scottish audiences. The next morning, we had a late breakfast, met the neighbours and were taken up to the spectacular views a few miles away of the parallel roads of Glen Roy. Breathtaking! In a moment of insanity, Jessie opted to run the 5k back to our host’s house – one of the most panoramic of Scotland’s jogging trails! After a light lunch we piled on to a Megabus for another spectacular journey to the Isle of Skye. Three hours later we emerged, blinking in the bright sunlight in Portree. We set up in the Fingal Centre, which was a lovely theatre…for lectures or plays. Unfortunately it was very dry acoustically, so we endeavoured to make the best of a bad situation! Piano on stage…piano off stage…standing on the floor…standing on the stage…a few hours later and some stage shifting we settled back on stage, where we first started! Thanks to the Fingal Centre’s Scott for his patience and stage shifting! Despite running at quite a low energy ebb, we managed to find some spark for our performance, which again was very warmly received! Another lovely post concert supper and glass or two of wine later accompanied by Jack the dog and our hosts Gill, Peter and Dominique we all fell into bed, ready for an early morning adventure on the island! The next morning we were taken on a tour of a local tannery called Skye Skyns, where we all came away with souvenirs - Charis winning the shopping competition by bagging a beautiful sheep skin rug! We then went to Tigh na Drochaid care centre, where we had great fun performing a Live Music Now concert, alongside talented local piper Frieda McKiggan who is a recipient an award from Awards For Young Musicians. There was dancing, singing and percussion playing to beat the band!